If I had the means to do it, I would so totally hire a landscaper to beautify me yard. My house sits on over an acre of land and once upon a time, it was manicured to perfection. It seems like every year I get it to look nice again, only to have it be demolished by flooding, high winds, no rain or my dog rolling around in the flower beds. Come spring this year though, I am determined to have another go at it. 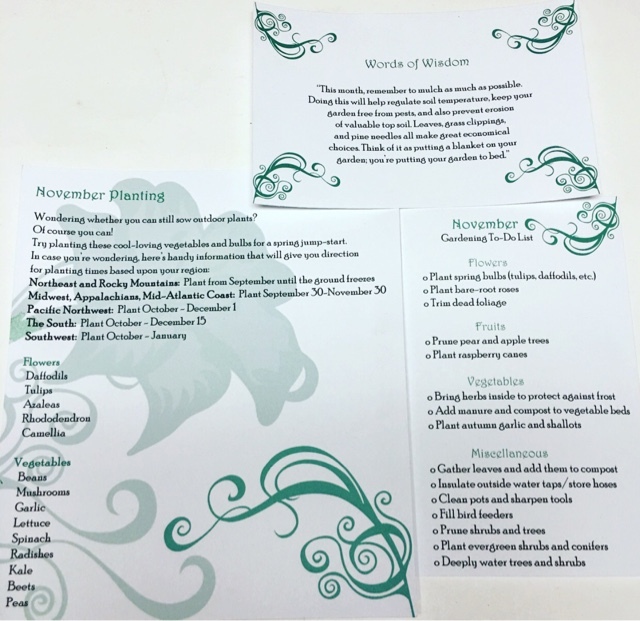 And I can start prepping right now with a little help from the November Jade Canopy box! 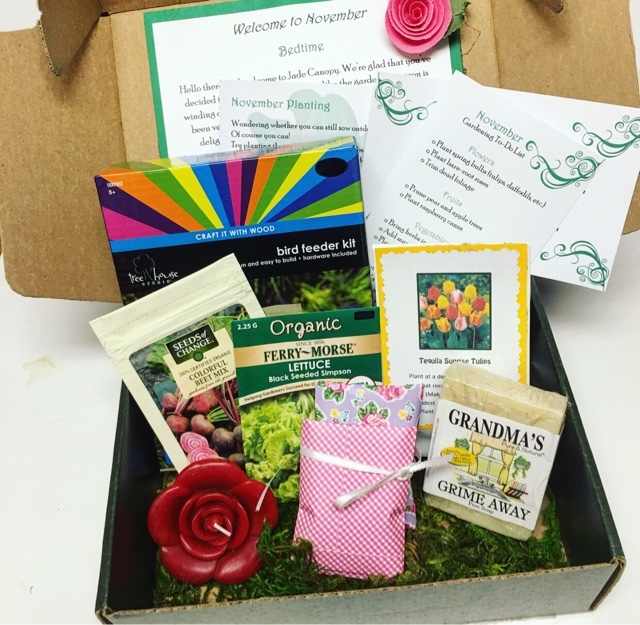 Jade Canopy, who very kindly sent me this box for review, is a brand new monthly subscription service for those who have, or would like to have, a green thumb. 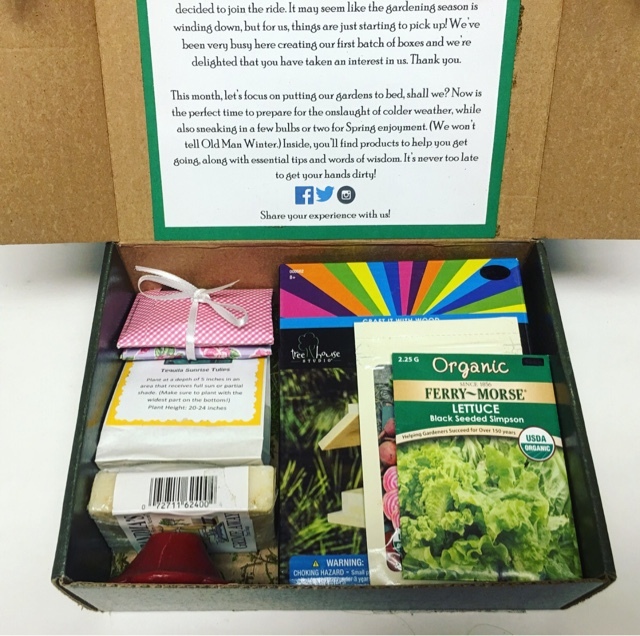 The cost is $30.00 per month and you will receive"a monthly box that fulfills the needs of anyone who has a passion for gardening and nature. By providing our expertise, as well as bringing you products that will delight and satisfy your gardening desires, we hope to expand on the world of gardening and cultivate a wonderful growing experience." Need little extra incentive to subscribe? Use coupon code JADEFRIDAY at checkout for 25% off your December box!! 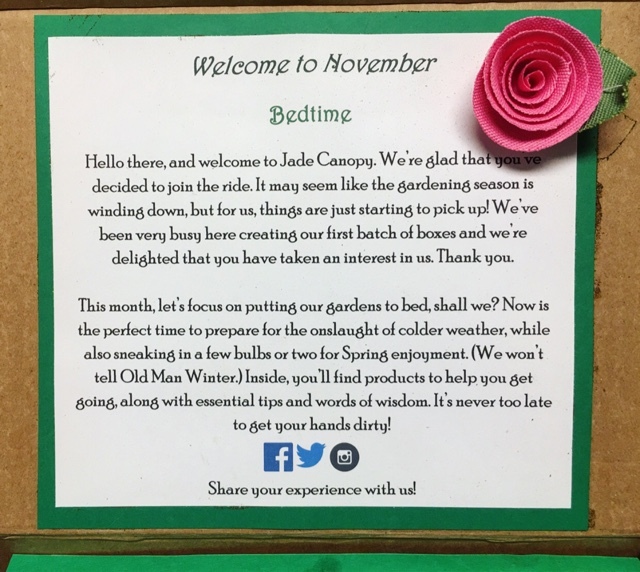 The November box theme is 'Bedtime' and it's all about getting your gardens ready for the coming cold weather. 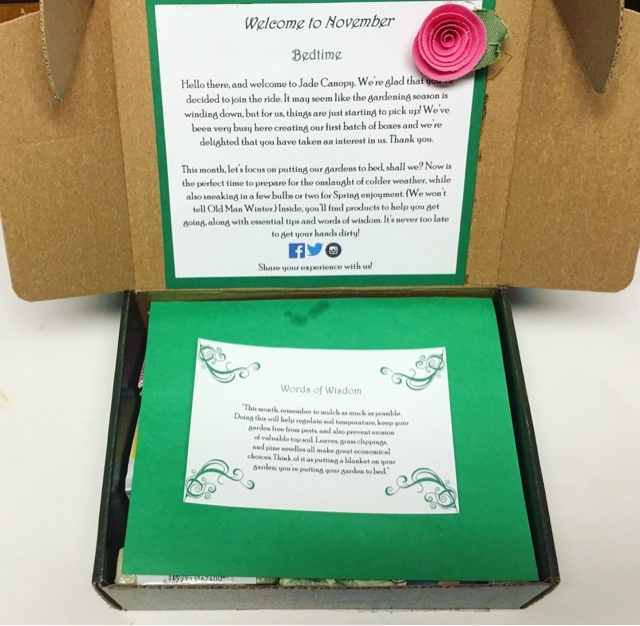 Included in your box are some essential information and words of wisdom to guide you through November. These lists will help you to figure out what you can plant in November and how to best prepare your gardens for cold weather. I always love opening a debut box, don't you? I never know what to expect. I'll tell you right now though, I'm pretty impressed with what I see so far! 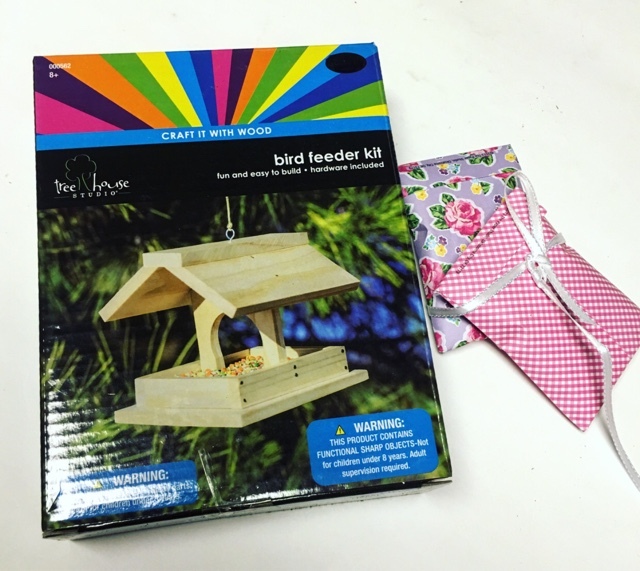 Bird Feeder Kit & Seeds --- The featured project for the month of November is building a lovely little bird feeder! This kit includes everything you will need to make the perfect little pit stop for the birdies in your area. 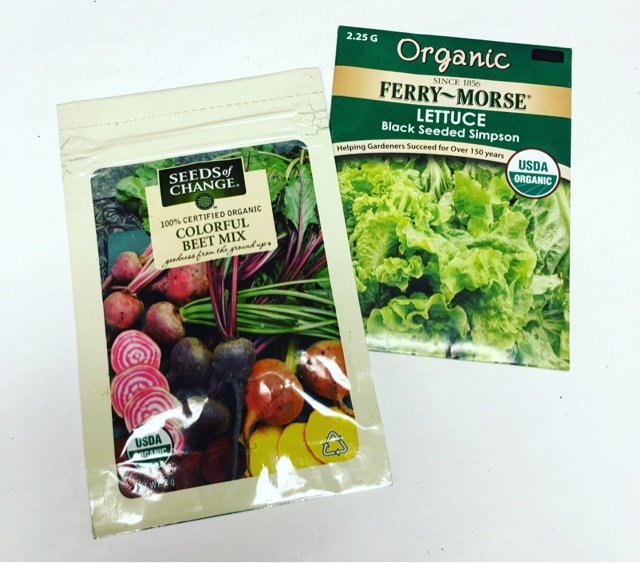 Organic Beet Mix & Lettuce Seeds --- I love planting but I have never actually grown any vegetables. Perhaps these will get me into gear to start growing some actual food for my family... It would be a lot cheaper and much more satisfying, I'm sure! 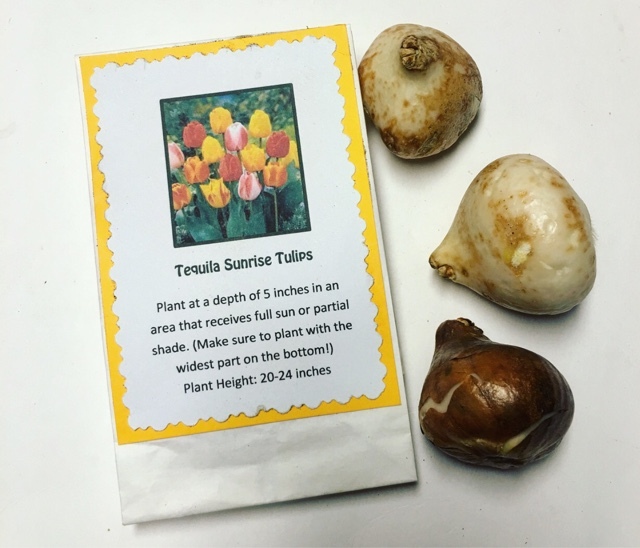 Tequila Sunrise Tulip Bulbs --- My mom always taught me to plant bulbs this time of year and I love love love tulips. These are going straight into the small flower bed on my screened in porch. The perfect shady spot! 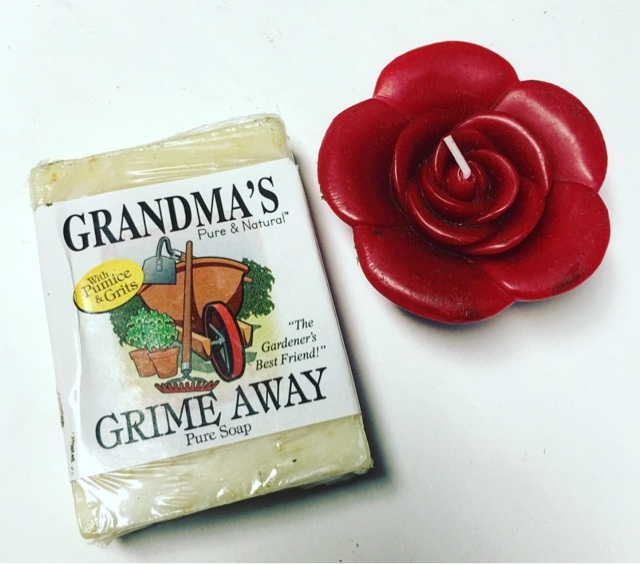 Rose Candle & Gardener's Soap --- An extra little treat just for you! The little rose candle is absolutely beautiful, isn't it? And the gardener's soap is perfect for me. I have a bad habit of not wearing gloves so you need a good soap to cut through the grime without being to harsh on the skin. 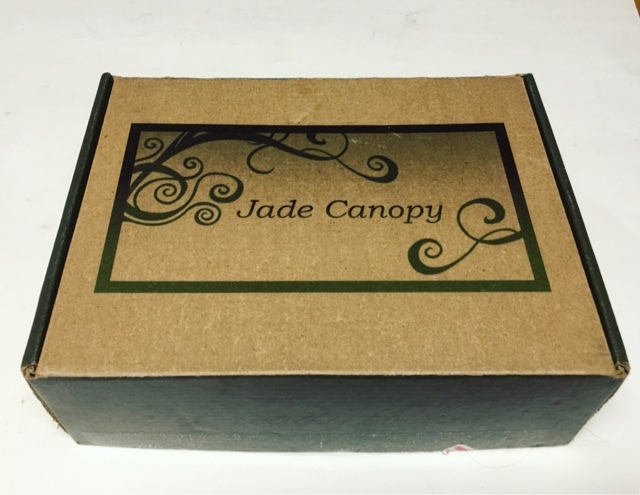 I'm extremely impressed with Jade Canopy and how much thought and care has gone into their first box. The pricing and product quality is spot on and I really couldn't be happier with it. And with the holidays rapidly approaching, it's a great gift idea for yourself or the garden enthusiast in your family!! Loving Jade Canopy? Tell us what you think!